Final Audio Design is quite a puzzle to me. A year back the company launched the most expensive IEM models ever made, making even an UE18 Pro or JH16 Pro look decently priced in comparison. It had certain caused a lot of buzz over the forum. Now however they seem to go with the more ‘regular’ priced offering - the Piano Forte II is the company’s most affordable earphone yet, but does it measured well against other earbud of its price range? Packaging is pretty basic for sure, not that I am expecting anything else. 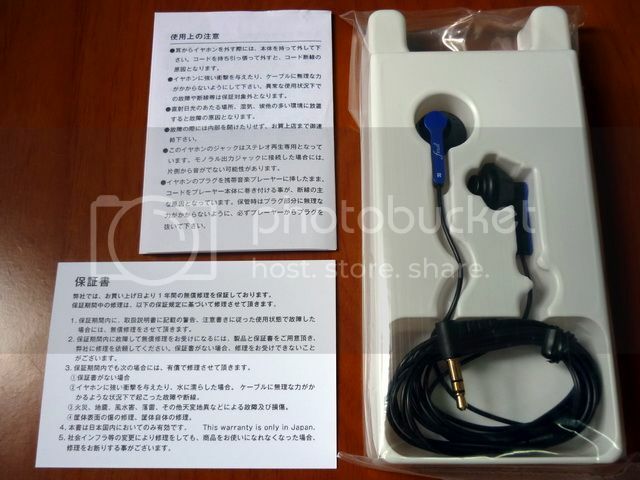 The only thing surprising thing is that the earbud is made in Philippine, which is not too common these days (*Sony used to make some of their earbuds in Philippine about 10~20 years ago, but now they are more Thailand and China based). 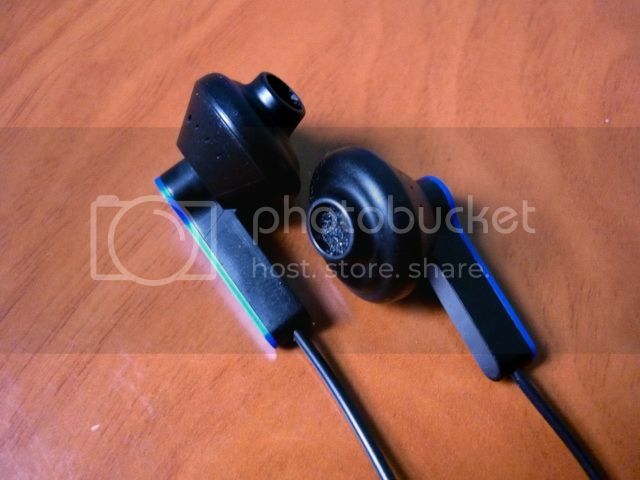 There is no accessory included, which is fairly common for earbud. The nozzle-like design is said to eliminate the need of using foam pad, though some have find that using modified foam pads (with holes cut out to allow the nozzle to stick out) help on improving the bass and comfort. Build Quality is solid but nothing to write home about. The design of the transducer housing however is a bit odd - it is really thick on the ‘strain relief’ (which is hard plastic and doesn’t actually relief any strain). The use of a large 15.5mm transducer mounting almost perpendicular toward the ear also adds to the overall bulkiness of the design, not to mention the nozzle sticking out on an angle. All of these mean that the Piano Forte II is quite a nightmare to those who have small outer ears. With my own personal experience, I don’t think comfort can be fully guaranteed even for a person who has fairly average, earbud friendly outer ears. If you have used earbuds such as the iBud before, this will probably be lesser of an issue. 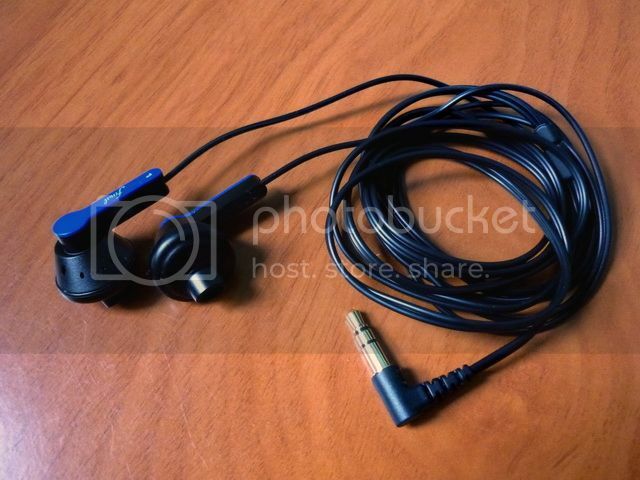 If you are not a regular earbuds user however, I think you should think about it before purchasing. 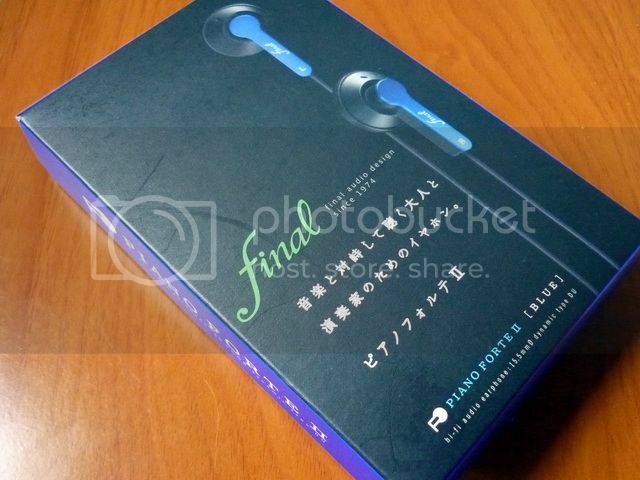 As usual, the earbud has been given a 50+ hours of burn-in before the review. Overall I didn’t observe any significant change before / after the burn-in. The sound signature of Piano Forte II is warm, mid dominance, thick and tends to be a bit veil. Treble extends fairly decently, but lacks sparkle and refinement. Lower treble detail is a little grainy while upper treble is a bit too smooth to notice, thus making the overall sound veil. Mid is forwarded and on the thick side, lacking a much needed fluidity to make it sweet. Bass is decently impactful, though not particularly deep. Sense of speed is a bit slow. Soundstage is restricted by the thick mid and tends to be too focused. While Piano Forte II’s big and bold mid might appear to some, the combination of thickness, lack of micro detail and good sense of speed make it a slightly lifeless, musical-less performer. If I have to sum it up, it is the lack of ‘flow’ or continuity in music that is the big weakness of Piano Forte II – the mid simply has taken up too much of the musical space in the overall sound. However, it is still a decent sounding earbuds by itself, just not quite as balanced or technical sufficient when compared to other cheaper offering in the market now, such as the previously reviewed Sennheiser MX580 / MX581. 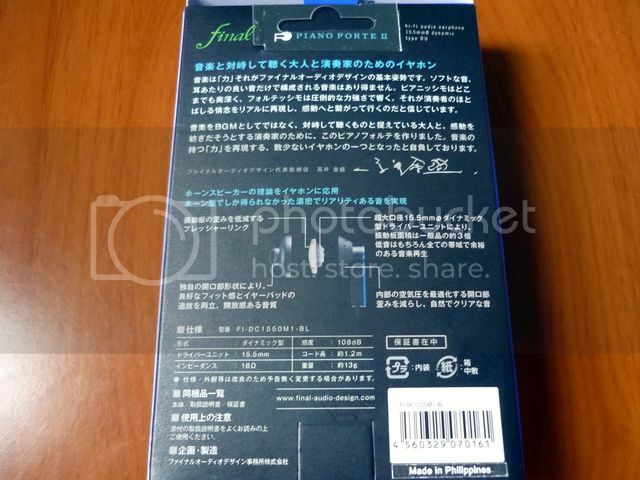 I don't denial that I had some high hope for Piano Forte II when it was first announced,. After all this is an earbud coming from a company that is known to make some of the most expensive IEM around. Though I can't say I am totally disappointed by Piano Forte II, it certainly does not quite reach my full expectation. But for a $80 or so price tag, I reckon it is still a decent but not particularly appearing purchase. For those who are looking for a more balanced performance, you will probably do better with those US$26 Sennheiser. Check out the Earbuds Roundup page for a simple ranking.